Today the Energy is NOT Descending from solar bursts, it is Ascending from Gaia up through the Chakra pillar. You’ll feel it in the root, sacral, and up through the solar plexus, the heart, throat, third eye and crown. It is moving that fast! I feel there was a Schumann Resonance spike, although I don’t know for sure if this has occurred. If anyone knows, please share. Automatically I Intuitively knew.. no shoes today- bare feet on Mother Earth. I’m in sunny Florida where it will be in the 80s today, but I know many of you are in cold weather climates right now and can’t do this. But, if you have a lower level to your home, or a garage space, you can still connect this way by focusing your Energy connecting to the core of Earth. There are downloads coming in unison through high pitched ear ringing. You may experience vertigo as the inner cellular Merkabah spin continues to move faster. Ground yourself. As the new crystalline grid has been anchored you will want to connect with this. This is not the low vibrational false overlay net of 3D matrix. This is the new grid. There is no illusion here by connecting with this Divine New Earth crystalline template. In fact, it’s the opposite as all veils are removed, and all is seen for what it truly is. This connection is purely quantum. So as you make this connection, envision the Golden Ray, The Silver Ray, and the Rainbow energetic crystalline frequencies. Quiet your mind and allow the chakra pillar to become a clear stream of white light. As your crown chakra connects to the Quantum Akashic Records, you’ll receive information to your Higher Self. As this process takes place, all body aches dissipate. There was a time I didn’t feel the need to ground myself, as this new crystalline grid was being anchored here. My work was in anchoring through the ley line that runs through my area connected to the great pyramid of Atlantis now under water, to the Great Pyramid of Giza, to the St. Michael ley line, to the Pleiadian ley line. Many gridworkers have worked tirelessly in creating this New Earth crystalline grid worldwide that pulses with all of the crystals of Mother Earth now. Now when grounding takes place it feels much different. It’s healing, it’s energizing, it’s mood balancing, it’s calming. Take today and just BE. There’s A LOT Going On Right Now…. There are plasma bursts coming in as well that are causing the body to heat up with the inner merkabah spin/DNA upgrades. There are crystalline frequencies that activate the magnetite crystals in the brain for DNA upgrades to progress. There are star particles that come in off of meteor showers that cause itchy skin and skin rashes that affect how we present our authentic selves to the world. There are Gamma rays coming in that are bringing on sleep with vivid dreams and third eye visions. There are diamond frequencies coming in that cut through old programming. There are Rainbow frequency portals opening all across the globe providing the bridge to Higher Consciousness and instant manifestation. We have the Golden Ray of Christ Consciousness infused now within the Merkabah/expanded heart chakra and electromagnetic field frequency output from the heart. We have the Silver Ray for emotional and spiritual healing. We are still in the 12/21 Solstice Portal, which bridged the gap for spontaneous past lifetime healing and integration through the central sun. There are Schumann Resonance spikes amping up the Geomagnetics that are activating the higher chakra centers, and spinal alignments. You may experience muscle aches, vertigo, heart pulses, inner body vibrations, headaches, itchy skin, energy tingles, goosebumps. Some are reporting acne break outs. This stems from the hormone recalibration that is going on with DNA upgrades. Hormones are shifting around too, as I noticed mine personally needing rebalanced six months ago. As you can see the energies are pouring in from all sources right now, but specifically earlier today was the Schumann Resonance spike! The important thing is to honor yourself where you are. Don’t try to compare your journey with others, as each is individual as the soul experiencing it. Go with the flow of energy and just BE. PS… Update~ Someone provided the latest Schumann Resonance information in the comments section on this post which I added to my Facebook page. You can see the Schumann Resonance by Clicking Here and spike is an understatement!! Sometimes it amazes me, but I can always feel it so strongly being a Geomancy. When you’re tuned into energy, it just doesn’t lie. This is the way of New Earth. Strange vibrations manifest in my body. I feel it from the ankles bilaterally up the legs to the lower back . Just now I felt the same vibration in the heart area for about 1 minute. I have had irregular heart beats for a few seconds at a time all day. I have the different frequencies toning in both ears…different frequencies at different times but always a high pitched ringing right ear < than left ear. My appetite is poor but I have gained 12-15 # in the past year. My sleep patterns have shifted and I don't remember dreams very often. I experience aches and pains and digestive issues. Holy smokes. Vertigo big time with no explanation from my chiropractor. Thanks for these posts! Big Bright Blessing To You ALL! 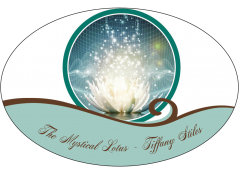 Thank you for these posted Affirmations Tiffany…..the more we share, the easier it is to experience and remain objective. Getting out of our own way so we allow everything to Be what it IS…Nuture, Nourish, Rest and Ground….each moment a Gift of Awareness…even when it feels…well…yukky. LOL! Much Love, Light, Healing and Gratitude for each and everyone of YOU!